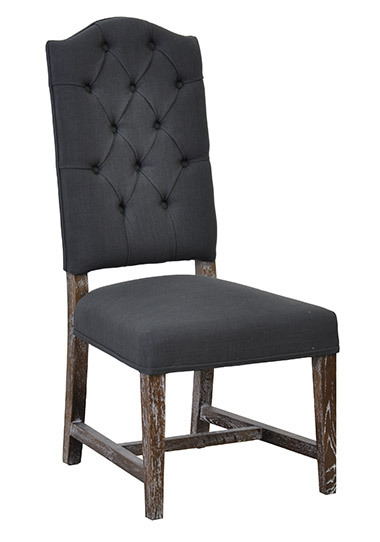 This perfectly tufted side chair with gray fabric and covered buttons adds elegance to any dining room. Free Delivery is curbside with a minimum of 4 chairs. Aidan Oval Dining Table 84"
Blue Stone Coffee Table 63"